I grew up with a romantic view of radio pirates; ordinary people using public airwaves to build communities from locations offshore, from basement studios and from mobile transmitters in the backs of vans. As passionate as I am about radio, I never knew pirate radio had a Canadian scene. Then I found out my good friend Bob Goyetche was a host on CNOT (a Montreal-based pirate radio station) in the early 90s. And then I met Marian van der Zon at the Radio Without Boundaries conference in Toronto last year. At the time, she was editing a book about the Canadian pirate radio scene. 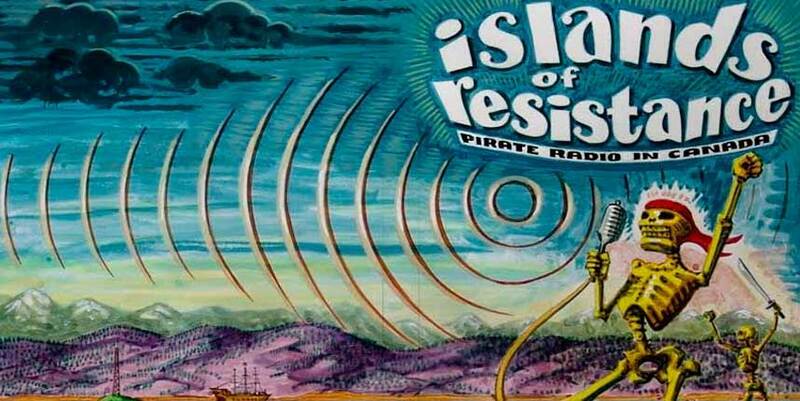 That book, Islands of Resistance: Pirate Radio in Canada, is now available. John Meadows interviewed Bob Goyetche about his experiences in pirate radio and has published the discussion on his On the Log Podcast. Click here to listen to Rebel Radio. Also, check out this story about an Ottawa boy who set up his own pirate radio station this past winter. And I thought the younger generation didn’t care about radio anymore!